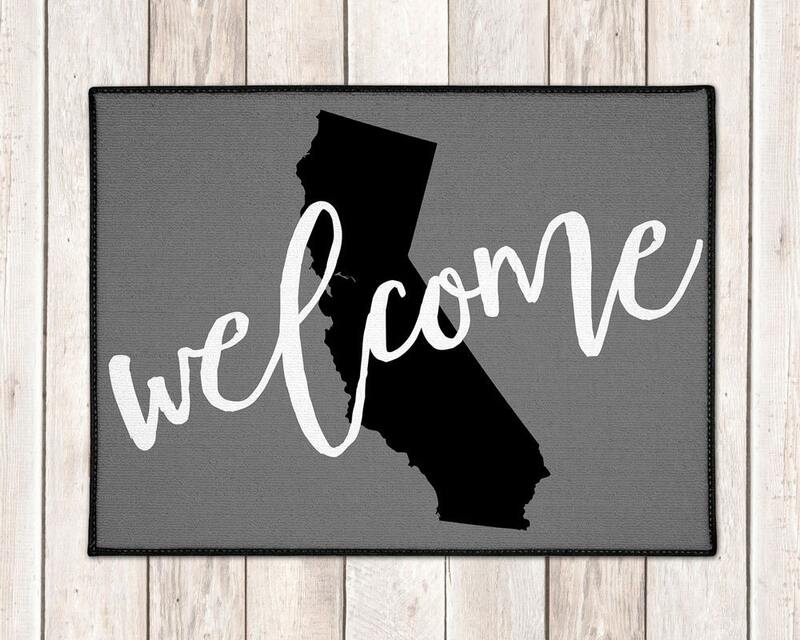 Show your state pride with our welcome mat that can be customized with any state shape. These make wonderful gifts for newlyweds or in celebration of a new home. Our indoor/outdoor mats are made of 20 loop, which is similar to carpet in durability. The mats feature a non-slip backing and black edging. 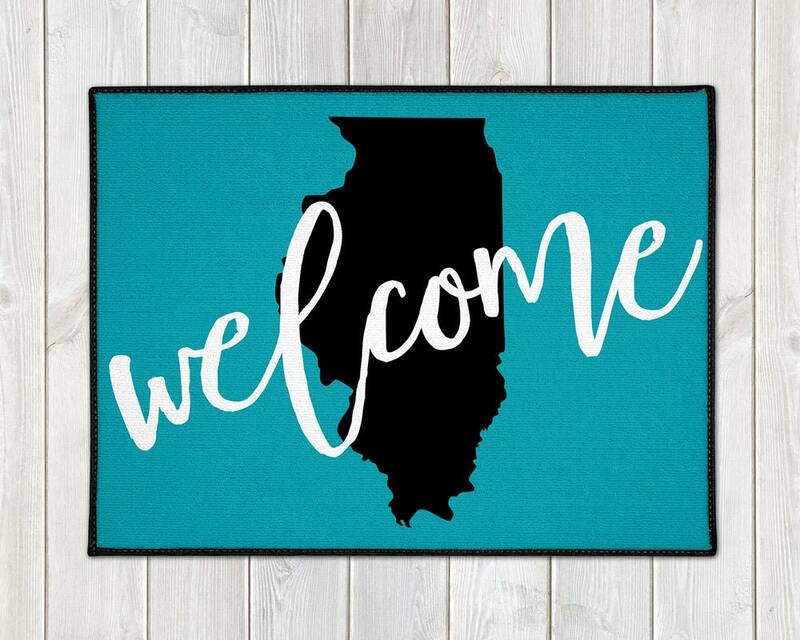 18" x 24" / 18" x 27" / 24" x 36"
Door widths can vary, so it may be helpful to measure your door before selecting your mat size. 1. 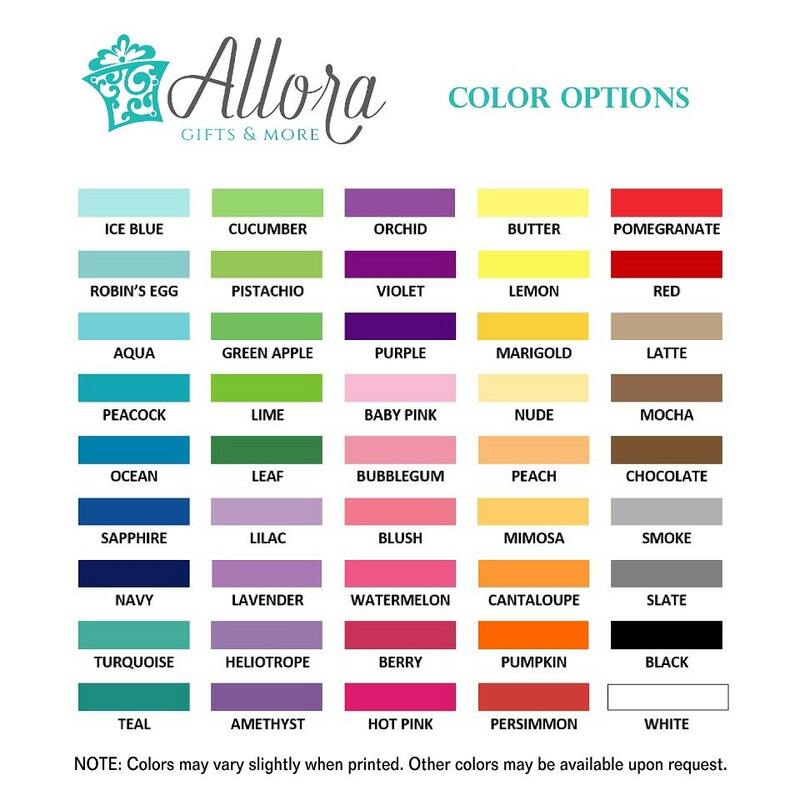 When placing your order, please select your mat size and background color from the drop-down menus. 2. 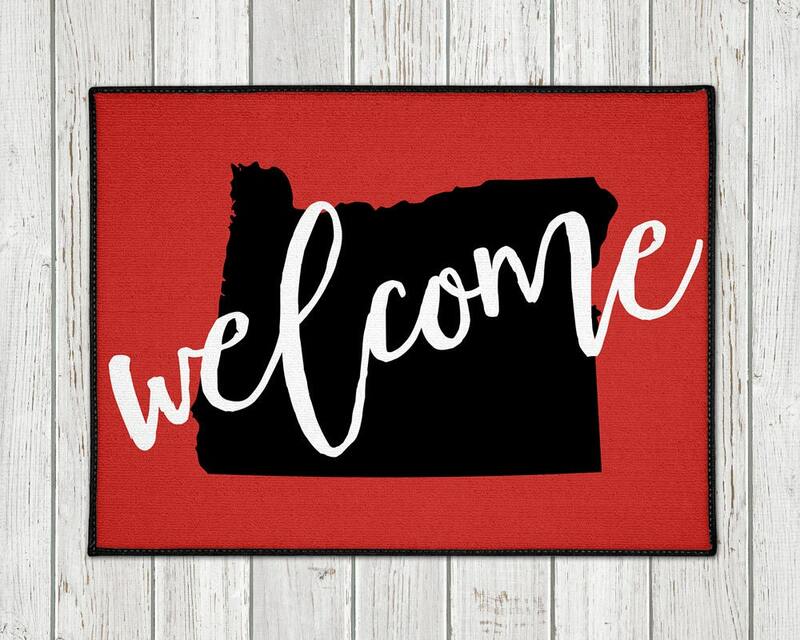 Please list the state you would like in the note to seller box at checkout.